HomeFront Page PostsGiveaway: Alan Jackson Concert Tickets! Giveaway: Alan Jackson Concert Tickets! This is the kind of giveaway that inspires a “yee-haw!” We’ve got two tickets to hand over to one country music-lovin’ mama this week which will put her smack dab in the middle of the Alan Jackson concert! Alan Jackson will be performing at the Arkansas Music Pavilion (AMP) on September 14, 2012 at 7:30 p.m.
His opening act is Lauren Alaina, one of our favorite American Idol runner-ups! And did you notice that we’ve got the perfect thing to go with Alan Jackson concert tickets? Click HERE to see the giveaway of Country Outfitter cowboy boots which began on Monday. They are SO cute and would be perfect to wear to the concert. The video below is one of his best-known hits and we love how he explains what single line inspired him to write this hit song. With two Grammys and several other awards under his belt, Jackson was inducted into the Nashville Songwriters Hall of Fame last year. He has written or co-written 24 of the 35 singles that hit No. 1 on the charts, and that distinction puts him in the same category as Paul McCartney and John Lennon! HOW TO ENTER: To throw your name in the online cowboy hat to win the tickets, click the orange comment button below and tell us what your favorite Alan Jackson song (or lyric) is. You can also send your answer via email to giveaways@nwaMotherlode.com. HOW TO INCREASE YOUR ODDS: As always, we give extra credit to mamas who help us spread the word. Just send a quick email to your friends/family about this giveaway and be sure to put giveaways@nwaMotherlode.com on the CC line of your email. We’ll give you an extra chance to win for every person you tell. Simple as that! 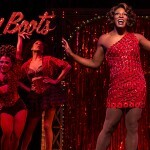 HOW TO GUARANTEE TICKETS: If you’re not comfortable waiting for Lady Luck to pick your number, you can buy tickets to this concert by calling the Walton Arts Center box office at 479-443-5600 or by clicking HERE to check ticket availability. Good luck in the giveaway, and be sure to watch your inbox for a possible email from us later this week. Awesome Giveaway: Miranda Lambert concert tickets! 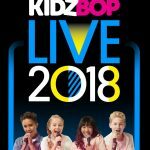 Giveaway: Win 4 KIDZ BOP Live show tickets! Life with Ladybug: What makes you tick? My favorite Alan Jackson song is “Little Bitty,” because my kids are so cute when they sing it. It was one of the first songs my now 3 year old sang along to. I love the song Remember When. Makes me tear up. I saw Alan Jackson when his opening act was Faith Hill. Ha! That should tell you how long ago that was! My favorite AJ song is “Remember When”! I LOVE ME SOME ALAN!! “Remember When” – I tear up every time I hear that song! Living on Love is my current favorite, several years that is about all we had to live on!! I’m ready for a good concert!! LOVE Remember When…..such a sweet song! My favorite Alan Jackson song is ‘Livin’ on Love’ – such a great message! I like most all of his songs! My mom took me to see him in Texas at The Blue Bonnet Palace when I was 10 years old… Good memories!! I just listened to the Alan Jackson channel on Spotify and knew almost every word of his songs. My favorite is “Midnight In Montgomery”! Beautiful! Aren’t you from out in Tulsa? 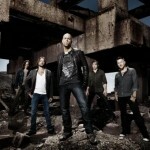 I would LOVE LOVE LOVE to go to this concert!! Love Remember When. Love everything about Alan Jackson. My favorite song is Livin’ on Love!! It would be such an awesome night to see Alan Jackson live!! I like the old school Alan Jackson–Chasin that Neon Rainbow! Love “Lot About Living (and a little About Love)”!!! Greet memories when I hear that song! My favorite is Where Were You When the World Stopped Turning; a song about loss, faith and the human spirit. Remember When…Livin’ on Love….I have more than one favorite!!! Could use a concert right about now!! Little Bitty!! I have always loved that song! Who doesn’t love Alan Jackson. 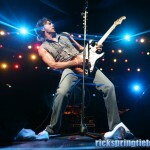 Would love to seem him in person and my bday is the 16 so it would make a great bday present!! Like Red on a Rose and Remember! Living on Love is my favorite Alan Jackson song. Love all of his songs but Chattahoochee brings back memories! Way down “yunder” on the Chatahoochie…!!!! But all are great! Remember When is my favorite song. Wow all his songs are great. But Remember hits home. Alan jackson is the number one country singer in the world.Always has been and always will be.There is nothing this guy can’t sing. jackson you’re number one!!!!!!!!!! Where Were You When the World Stopped Turning? Love all of his songs but this one is awesome. I have always loved Chattahoochee!!! It still gets stuck in my head ALL THE TIME!! Love Good Time! and Chattahoochee! Would love to see him! “I’ll go on Loving you” and “Remember When” are 2 of my favorite Alan Jackson songs I really can place many of his songs with time periods in my life. I hope I win!! Chattahoochee – Got a little crazy but we never got caught. The song brings back a lot of memories. My fav is Livin’ On Love. My favorite Alan Jackson song is Remember When. Although, he has so many great ones it’s hard to pick just one! 🙂 Also love Daddy let me Drive! I just love Chattahoochee. So much fun! It’s hard to narrow down my favorite! I’ll go with Remember When and Daddy Let Me Drive. I don’t have a favorite Alan Jackson song. I was hoping to win and give the tickets to a friend who is a big fan of his. “Daddy let me drive”. It fit the relationship that I had with my Daddy. I even had it played at Daddy’s funeral last year. 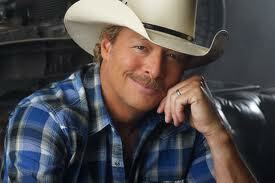 I LOVE Alan Jackson!!! One of my favorite songs is I’ll Go On Loving You. His best that I enjoy is Daddy Let Me Drive. It’s alright to be little bitty. But here in the real world, It’s not that easy at all, ‘Cause when hearts get broken, It’s real tears that fall. My fav is Remember When. I had it played at my husband’s funeral nearly 8 yrs ago. I love hearing it because it brings back all the good memories of raising our family together and the love we had for each other. I love AJ!!! Remember When is probably my favorite, but its hard to choose just one! !